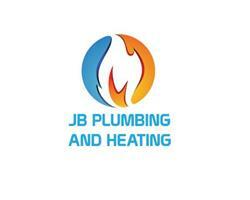 JB Plumbing and Heating - Bathrooms, Central Heating Engineer, Plumber based in Manchester, Greater Manchester. Here at JB Plumbing and Heating we specialise in repairing, servicing and installing central heating systems and full bathroom refurbishments, down to leaks and blockages throughout Manchester and Greater Manchester. Our engineers hold industry recognised accreditations such as; Gas Safe. We are selected partners with various boiler manufactures including ATAG. We at JB Plumbing and Heating understand that replacing your boiler or bathroom can sometimes be a daunting prospect and aim to make it as stress-free as possible. We offer the best solutions to meet the customers’ specific needs. We offer a free on site consultation of the works to be undertaken at a time to suit you. Here the works will be discussed thoroughly while checking the customers specific requirements can be provided. If you have any queries please feel free to contact one of our friendly staff.